Stock product - detailed vector illustration - 2D Blackboard Collection - Menu Banner 04 Vintage - created by Aurielaki. Image formats EPS AI JPG. 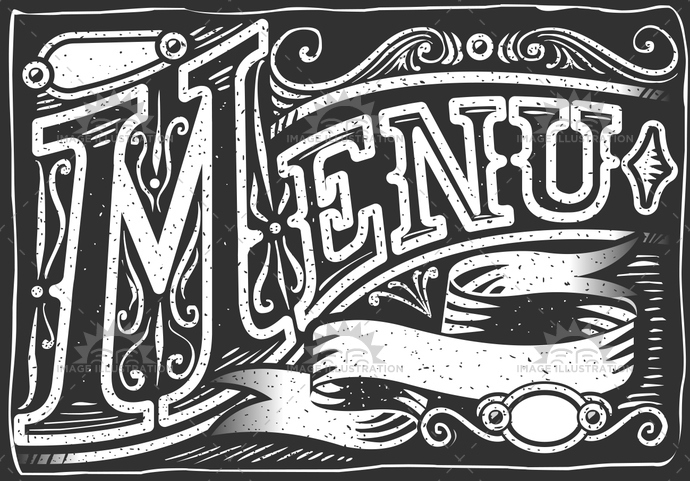 SKU: Menu-Banner-04-Vintage-Blackboard-2D-AurielAki. Category: Blackboard Menu. Tags: aged, ancient, antique, banner, blackboard, chalk, chef, cook, country, crayon, cuisine, decoration, dinner, font, food, gastronomy, gypsum, handwriting, letter, menu, old, plaster, restaurant, retro, scroll, text, typography, vintage, western.